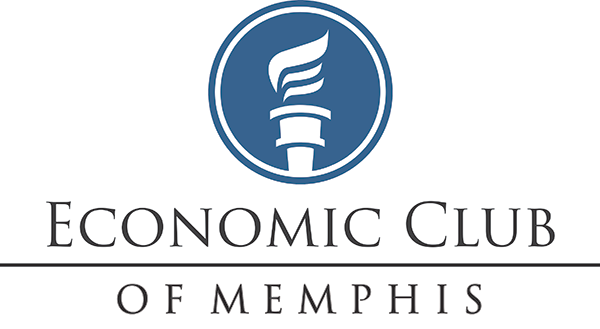 The Economic Club of Memphis is pleased to present a lunch meeting in our “Home-Town Heroes” series featuring speaker James R. Downing, MD, on Tuesday, November 8, 2016, 11:30 am, at the Holiday Inn-University of Memphis. James R. Downing, M.D., is president and chief executive officer of St. Jude Children’s Research Hospital. As the architect of a new six-year strategic plan, he is leading the expansion of St. Jude clinical care and research programs in Memphis and around the globe. A renowned leader in pediatric cancer research, Dr. Downing focuses his work on understanding the genetic basis of cancer and using that information to improve the treatment of children with cancer. He was instrumental in launching the Pediatric Cancer Genome Project (PCGP), which has sequenced the normal and cancer genomes of more than 800 young cancer patients with some of the least understood and most aggressive tumors. The project made TIME magazine’s 2012 list of top 10 medical breakthroughs. In 2013, he was a finalist for TIME magazine’s 100 most influential people in the world. The PCGP has produced groundbreaking discoveries in brain tumors, leukemia, a cancer of the peripheral nervous system, an eye tumor and the degenerative disorder commonly known as Lou Gehrig’s disease. The project has also produced new computational tools that benefit the broader field of genomic medicine. In addition to his leadership role at St. Jude, Dr. Downing serves on a Blue Ribbon Panel to advise Vice President Joe Biden’s National Cancer Moonshot Initiative through the National Cancer Institute. Dr. Downing is a Detroit native who earned his undergraduate and medical degrees at the University of Michigan. He joined St. Jude in 1986 after training in anatomic pathology at Washington University in St. Louis and completing a fellowship in hematopathology at the University of Florida in Gainesville. Prior to taking the helm of St. Jude, Dr. Downing served as the institution’s scientific and deputy director and as an executive vice president in the organization. 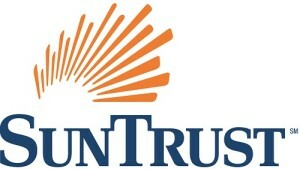 He became the hospital’s sixth chief executive officer July 15, 2014. 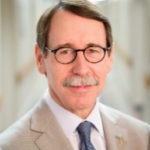 He has received numerous honors, including the Association for Molecular Pathology Award for Excellence in Molecular Diagnostics, which recognizes lifetime, pioneering achievement, particularly in regard to molecular diagnostics and molecular medicine. In 2013, Dr. Downing was elected to the Institute of Medicine, a branch of the National Academy of Sciences, and in 2016, he was named a fellow of the American Academy of Arts and Sciences.